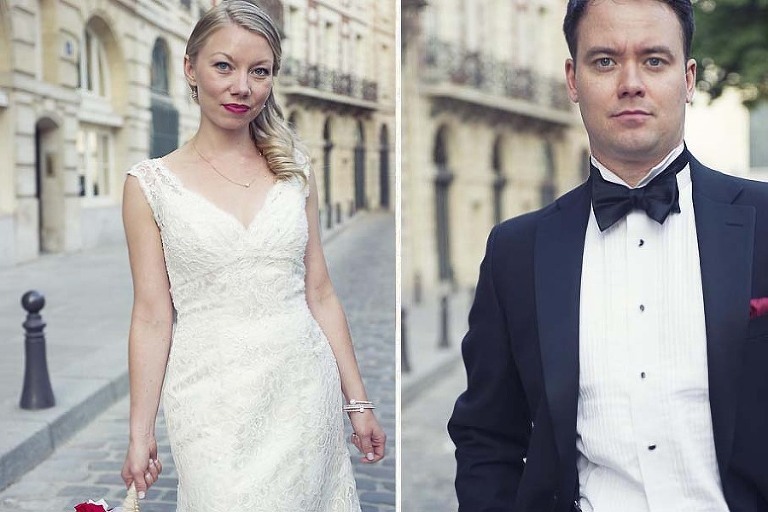 As I have mentioned before eloping to Paris is a real trend it seems thanks to all of those lovely wedding blogs that publish amazing wedding documentaries of couple in love with beautiful Paris in the background! 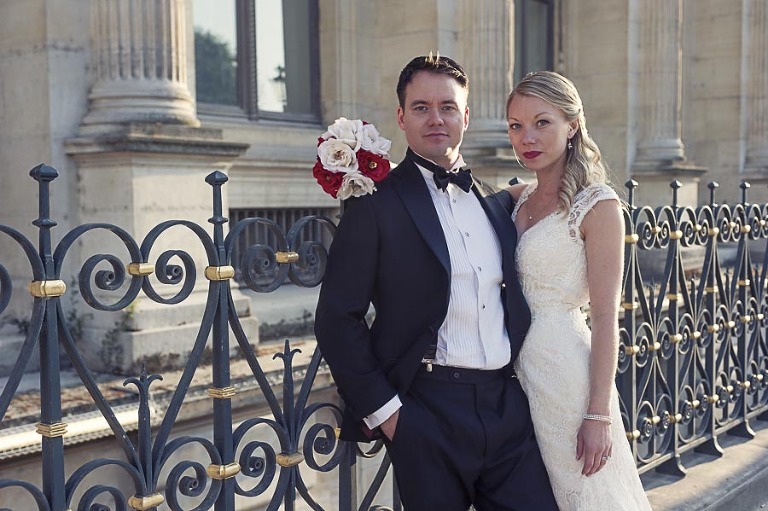 Jody had seen one of our wedding story in “intimate wedding blog” and this is how she got to contact WeddingLight Events who planned every little details of her wedding day in Paris. WeddingLight Events organized their elopement ceremony in the park overlooking the Eiffel tower. A couple of friends tagged along to witness their exchange of vows with Igor; WeddingLight Events officiant. Jody cried over the ceremony, then everyone clapped while thy kissed away (including a few tourists who were watching from the distance). It is always quite moving to witness the love and commitment that a couple share during their wedding ceremony even if it is something quite small & intimate such as an elopement. We toured around town in a smashing Jaguar with our chauffeur Victor for a few hours before we dropped them at their restaurant for a private diner. 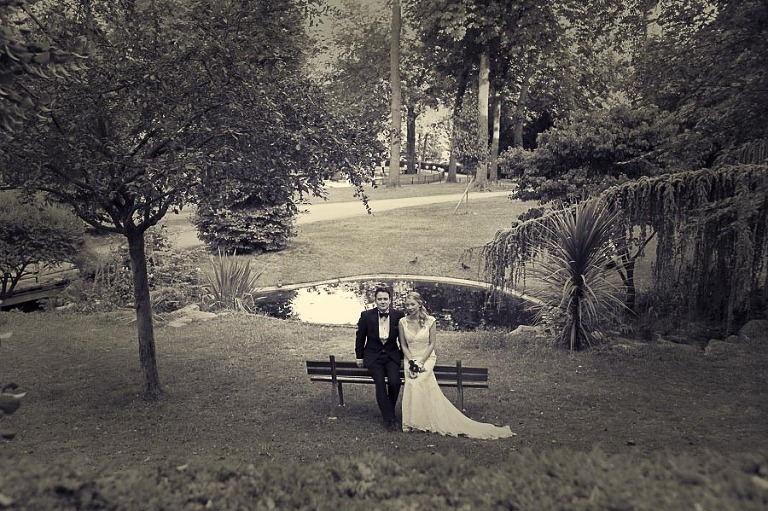 A wonderful day with a happy couple who decided to seal their love in the city of light in an informal way. 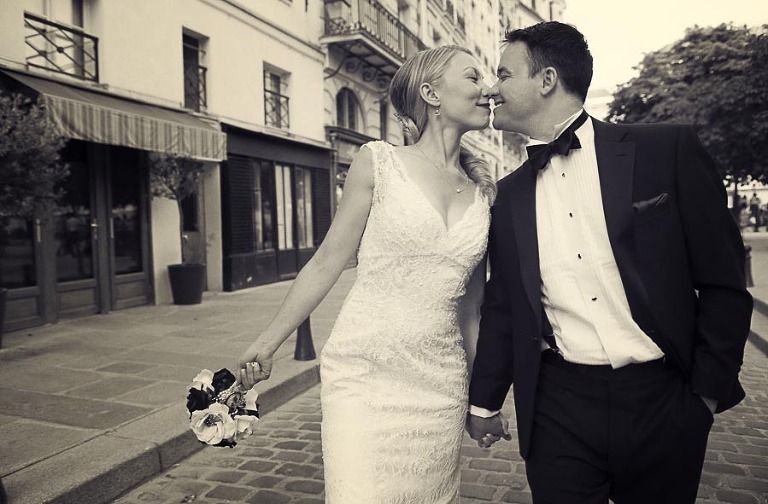 Eloping in Paris is a lot of fun and taking a couple in love around the city for a few hours is a wonderful thing to do. The backdrops are unique, grand and always a perfect match for lovers!